Private limited company is the most popular type of corporate entity in India. It is a must for start-ups planning to raise funds externally, With company Vakil you get an easy and free company name search that lets you select the right name for your company, Feel free to reach Company Vakil and Consult our in-house team of CA’s, CS and Lawyers. Limited liability partnership is an ideal business structure for small and medium enterprises. It exhibits elements of partnership and Private Limited Company. We provide a free LLP/Company Name Search in Co-relation with Trademark Name Search. Protect your logo, brand name, sound mark. Use tm next to your brand in two working days. Make use of our free Trademark Search of your Brand Name. Improper Trademark search calls for an objection, not to worry. Get your trademark objection replies drafted by our highly skilled Company Vakil lawyers and Legal Consultants. Get your trademark Renewed or assignment by our competent team of Lawyers, CA & CS. Renew it on time. With re-application the process has to begin from the beginning of Trademark Public Search. Renew it beforehand to save time and money. Get your Music / Sound recording copyrighted by our experienced and skillful team of Legal Consultants, Advocates, CA ’s and CS. Get your literary / dramatic copyrighted by our well-known service partner in IPR Law firm, with a team of Lawyers, CS and CA’s . Make your computer software an intellectual property of your business, Let our Company Vakil legal experts, Lawyers, Chartered Accountants and Company secretary’s team up and help you with your copyright registration. Get an official copyright on your creative cinematography film, let our experts handle all the stages of your copyright. With our team of Expert Advocates, Chartered Accounts and Company Secretaries your registration is in safe hands. Start the process of protecting your invention through the quick provisional patent. Get in touch with our patent experts for detail information and a proper Patent Search. Terms and services are the basics of any online business today, Company vakil takes pride in offering you a customized terms and service or agreement rules through its expert team lawyers, CA and CS. Founder’s agreement is an agreement that defines the important aspect of relationship between the founders, it segregates every right owned by each Founder including the intellectual properties such as Company Name and Brand Name. We at Company Vakil aim on drafting customized agreements as per your business. It is important to have a full proof & carefully drafted Contract while hiring an employee stating all the rights of an employer and employee. Make a smooth transaction to all in one tax with our GST expert panel of Chartered Accountants, Company Secretaries and Legal Consultant. Import Export Code is a necessity for every business engaged in Import and Export of goods and Services. Company Vakil with help of technology simplifies the process of registrations in India with our Unique Trademark and Company Search Tool. Company Vakil believes in complete transparency in price, process and time consumption. Company Vakil follows the likes of famous Just in Time process to deliver services on time without a hitch.  At Company Vakil, We provide money back guarantee if you are not satisfied with our service. No questions asked. Happy Customers is our priority. Hi Company Vakil welcomes everyone to the most updated and unique Trademark Search Platform in India. Our team of Expert Trademark Attorneys, CS, CA ‘s and Technology Experts have made the most comprehensive, unique and easy Trademark Search platform for Indian People and we work purely towards making it the finest and the quickest way of Trademark Search and Trademark check for the people in general. Our Team understands how precious and important it is for a Brand Owner to have his or her brand protected to the maximum level and we also understand how difficult it is for a Startup or an Entrepreneur to think of a new brand and then check the availability via Trademark Search. This is the core reason our Specialized Legal and Tech Team decided to make a Trademark Search Platform which does a comprehensive Trademark Search in India for anyone and everyone, just search your name and see the availability in all the Trademark Classes at once. In general Trademark Search has to be done via the IP India Website i.e. through its Trademark Public Search tool, we as Attorneys are quite comfortable in doing the same because that is our work but we saw that for general public this Trademark Public search Tool is slow, irritating, confusing and very time consuming and we know how important a Brand is for an Entrepreneur or for a Startup, a Business Man or any person trying to build a Goodwill around their brand for that matter. So we here at Company Vakil took this opportunity to give something unique, useful, fast and super easy to our client and for people of India in general because we respect the time and effort you put in to build a brand around your business. 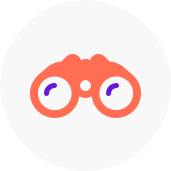 Our specially designed Trademark Search Algorithm fetches the openly available government Database for All the Trademark Classes doing more than 100’s of Quality checks on the Brand Name Searched or proposed by you and shows you the Trademark Availability for the same. Downtime of IP India Website – Downtime of government websites is one of the major issues nowadays. Every day for few hours IP India Trademark Public Search Website and Trademark e Filing Portal becomes inaccessible due to maintenance of the server or the website or for any other technical Reason. Speed of IP India Website – The speed of IP India website is really slow as compared to the pace of various websites and mobile applications these days. If you are trying to do an in-depth search on government website then the speed of the government website tends to get really slow and in the modern day scenario of Startups and Millennial entrepreneurs, everybody knows the value time holds and due to the slow speed of IP India Portal a lot of time gets wasted. Single Brand Name Search at a Time –There are 45 Trademark Classes in total and any person visiting IP India’s Trademark Search portal can only make a single Trademark search for an Individual Trademark Class at a time, so basically to make an in-depth research on a brand name, the same process has to be followed 45 times and if some similarity arises then this process has to be redundantly repeated again with the new proposed brand name. So this makes the process of Brand Name Selection very analytical, tiring, monotonous and time consuming. IPIndia Website is too Confusing – It’s not easy to find Trademark Public Search Portal via IP India website, the government portal is very confusing and is full of technical Legal Jargons, latest news, information and notification by the Registry and the Concerned Ministry. Apart from that the same, website holds a lot of Information about various other Intellectual Properties i.e. Copyright, Patent, Design and Geographical Indication. So as to navigate through such humungous amount of data for finding Trademark Public Search portal is quite difficult. Restricted Words – There is a list of restricted Words issued by IP India Website and the same list gets an update every few months by IP India Registry and these words are completely restricted to be applied as a wordmark or logo. So every time a Trademark search in India is conducted there has to be a prior check in the list of restricted words and if the word passes the same then you can think of going forward with the application. Disallowed Words as per Law – There are certain dis-allowed and forbidden words as per Trademark Law and even if they are available on the Trademark Public Search portal, no person can apply for the same or it would account for a rejection or refusal by the registry. Examples of Such forbidden words and symbols are National Emblem, Abusive words, too generic words with dictionary meaning etc. IP India Trademark Search Format Difficult to Understand – it is quite difficult to understand the Public Trademark Search platform of IP India Portal. Trademark Public search India is really slow and there are multiple checks in each class that has to be done before filing the Application which makes the pace of the whole the process even slower. Other Manual Checks which only a trained Professional can do with experience – As told above there are other manual checks that have to be done and those Brand Name checks take a lot of analysis and expertise to judge on how to file the Application and how to make the necessary changes in the same. This one of the major reasons because of which it is always advisable to have an Experienced Trademark Search Expert who helps you in research and filing the same because once you have a brand then you cannot make a lot of changes in the same time and again. Technical Legal Jargons – There are certain Legal Terminologies that have to be understood before conducting a Trademark Search in India and then fling the same, because there are so many layers and stages to the Trademark Registration Process and all those Technical Legal Jargons keeps on prompting in each stage every now and then. Too much information on IP India Website – There is a vast plethora of information on the Government Website. IP India portal has such huge amount of data pouring from every part of the division may it be the IP India Search portal, Journal Advertisements, Different Intellectual Properties, and Information about Government Tenders etc. Difficult to find Exact IP Search Portal– This is another issue, that there are so many Ip India Search Portals, i.e. can be of Designs, Patent, GI or even Copyright for that matter, that it becomes really difficult to find which one is the exact Trademark Search Portal in that and anyone visiting the government Portal is bound to get confused in finding the exact Trademark Public Search Portal and then conducting an Online Trademark Search in India via the same. Avoidance of Trademark Refusal – As you conduct a Public Trademark Search Online in India, you have to be very careful with certain facts and parameters, so that you are not over stepping any boundaries set by the Registry because that leads to refusal of your Brand Name and wastage of the Government Fees in the same regard. Avoiding any sort of Objections by the Registry – If Trademark Search Online is done properly with all the possible quality checks and filters and under expert guidance, then Trademark Objection can be avoided to a great extent. Choosing the right Brand Name – Conducting a full-fledged Trademark search Online in India with all possible quality checks helps you in choosing the right brand name for your business because its already know what name might get rejected or might pass further to the next step in the process. Smooth Trademark Filing Process – Trademark Application Process becomes really smooth, easy and effortless if a legitimate Trademark Search Online is Conducted and basically the moment all the pre-requisites searches and checks are done then there are very less chances that your Trademark faces any issues on any further stage. 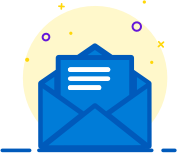 Saving a lot of Time and Effort – if all the pre-requisites are checked then a lot of time and effort gets saved on later stages of the filing process. As you know there is a saying “A stitch in times saves Nine” same holds very true in case of TM Filing as well because if a Trademark Search online is done with every possible measure taken before hand then the TM has a very less chance to face any pit-stops in the future due course. Company Name Protection before incorporation – Yes its true now-a-day if you have a Trademark on a Brand Name, you can use the same Brand Name for your Company too i.e. while conducting a Company search Online these days an online Trademark Search has to be conducted along with that and then only you can finalise a Company Name. No Government Fees – Trademark Public Search has no Government Fees, its an Open source database that can be accessed by anyone via the Trademark Public Search Portal of the IP India website, but interpreting the information is something that can only be interpreted by highly skilled and Trained Legal Professionals and at Company Vakil you can find them all. No Rejections – An Online Trademark Search in India is conducted either via Company Vakil’s Trademark Search portal or via government’s IP India Website and the information provided is completely understood with every possible nitty-gritty facts about the same.  Post this Complete Brand Name Search, almost all sorts of Rejections can be avoided to a great extent and process would go very smoothly without any major Rejections, Prosecutions or Legal Defense. Free of Cost – Yes you heard it right, our Exclusive Trademark Search Tool is totally Free of Cost and it is the most unique and easy to use Brand Name Search Tool. Our Company Vakil Experts saw that lot of Attorneys are charging a very hefty amount of fees for conducting a full-fledged Online Trademark Search in India and everytime a new Brand Name is proposed to them, they charge you a handsome amount for the same, we know its not easy to conduct a Full TM Public Search as it takes a lot of time, effort and money to conduct a proper Trademark Search. But, Company Vakil Experts took this as a challenge that what if we make Trademark Search totally free and the most easy part of the whole process for everyone who wants to do so i.e. no hidden charges of any sorts and believe us we did that, because once our team puts their head to something they don’t back out before they finish it. Yes we built the, most efficient & Unique Public Trademark Search Portal in India and we are proud to say that its totally free of cost with no Charges at all and we promise that it will always be free for everyone. A Specially designed Algorithm – Our team of Legal Experts jotted down every possible Legal Step required for conducting a Trademark Search comprising all the possible outcome of the same and then collaborated with a Team of highly skilled IT Experts and shared all their Knowledge with the IT Team and they designed a Special self-learning Algorithm, which we tested for quiet sometime and then further on converted and developed the same into our Unique and Free Trademark search Tool for general public. Time Saving – As its known that just the first step of finalizing the name and then doing a Trademark Public Search via IP India Website is a really grueling task and is very time consuming as well, and all of this doesn’t end on just making Name Check but on the contrary it’s just the beginning, interpreting the Information is even more Time Consuming. This was also one big reason we wanted to develop this Free Trademark Search Tool Bar for people in general because neither is everyone Expert in conducting the same nor do they have ample amount of time to do so, so everytime anyone searches a Brand Name there will be 1000’s of check happening through lakhs of data and the most refined result would be displayed to them right there, right away. In Depth Research for your Trademark – Our Trademark Name Availability Checking Tool is capable of doing lakhs of searches every single moment you access it, it searches the widest Trademark Data which gets constantly updated via the IP India Portal for TM Public Search. Then the data gets interpreted and refined, so that the right Information is passed on to the person Searching the same. A data of Lakhs of Trademark gets searched every time someone conducts a TM or Company Name Search Online via Company Vakil Portal and then it passes 1000’s of Brand Name Quality Checks, so after such in depth research a final outcome of the same is displayed to our Visitors searching on the site. Online Trademark Search in India just at 1 Click – Yes you read it right, all the Check and Searches made on our Website takes place in mere 1 Click, i.e. if a TM Public Search is Conducted via Company Vakil Search Bar then you just have to type your name in the search bar and Click on the search button, everything else related to processing of the information will happen in mere 1 Click and that too in matter of seconds. Multiple TM Classes Checked at once – There are 45 Trademark Classes which are basically 45 Different Business Sectors which have been divided and segregated by WIPO in NICE Classification and the same Classifications are followed by IP India Online. So while selecting a Brand Name Trademark availability check has to be done in each class individually as to make sure that no-one else in any other other business category is using the same brand name and then a person has to go ahead with TM Filing in their relevant Trademark Classes. This is a very cumbersome and long process for finalizing a Brand, but by using Company Vakil Trademark Search Bar this process gets to minimalistic because we conduct a search of all the 45 Trademark Classes with various patterns in just one go by submitting your Brand Name ones in our TM Search Tool-Bar. Easy Usability – Company Vakil’s Online Trademark Search Bar is quiet easy to use, the basic steps to use is explained above i.e. Just Fill in you Required Brand Name in the Search Text Box and then select Trademark Search and Click Search, that’s all you have to do and then see the magic happening. All the Quality Checks for the proposed Name will happen on it own and you get the final result as to in what classes your Brand name is available and in what classes the same is unavailable. Live Chat with Company Vakil Experts – At Company Vakil we are always at your disposal, whenever you have any query, difficulty or just have a doubt, just go ahead and reach out to us via call, message, WhatsApp, Email or directly chat with us on the website. We here at Company Vakil believe that Clients/Customers are the KingPin, we even have a customer redressal section as well, you can directly talk to our CEO for any suggestions or query you have like How to conduct a Trademark Search Online in India, What is TM Classification etc. Company Vakil Experts are always available at your Finger Tips. Full Explanation of each Trademark Class – We at Company Vakil are aware of the fact that its quite confusing to decipher the exact Trademark Class for your business and while designing the algorithm we kept the same in our mind. This is the reason why we made a consolidated page that would show you the Trademark Name Availability in each class at once with a brief description of each Class right there and you can choose your relevant class right there and add that to Cart and get your Trademark. We here at Company Vakil give true Importance to our Clients and even people in general, we saw the difficulty people faced while doing an MCA Company Name Search, with the ROC checks and logins required for the same. So we created the most updated and unique ROC Company Name Search Platform for our visitors. Company Vakil’s Legal Expert and their Technology Experts pooled in their knowledge and created the most unique Company Search Bar, which gives you details about everything from the Company Name Availability, New Company Name Search, ROC Company Check, MCA Company Name Check etc. We are constantly working towards increasing the efficiency and accuracy of our ROC Company Search Online Toolbar. 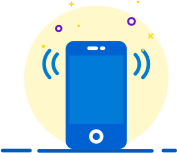 We are proud to introduce you to one of the most technologically advanced and easy Old or New Company Name Search tool in India and if you still have any queries our MCA Company Search India Portal provides a 24/7 Live Legal Expert Chat Support to clear all your doubts, but believe us that our Free Company Search India tool is so easy that it won’t be necessary and we take full pride in that. Our seasoned & highly experienced Legal Experts like Lawyers, Chartered Accountants (CA ‘s), Company Secretaries (CS), Legal Consultants and Advocates saw that our clients and also people of India in general, especially the budding Startups and Millennial entrepreneurs of the country are facing a major issue in finding the right name for their company because as per the guidelines by MCA i.e. Ministry of Corporate Affairs a Company Name before approval has to go through certain checks and these checks have to be done very carefully by the person first so that the proposed name doesn’t get rejected and the same process of making ROC Company Name Search and filing the RUN form is not done again and again as that leads to a loss of Time as well as Money. The checks include Various kinds of ROC Company Name Searches, LLP Name Searches and OPC Name Searches via MCA Master Data and if the name is available on the MCA Portal then a Trademark Public Search has to be done in all the 45 Classes individually and once that’s cleared post that a Domain Name Check has to be done as well and if any of the search results fail there has to be certain changes and amendments that have to be made to the proposed names so that they clear all the quality checks or the new names have to be thought off. All this process is highly time-consuming as everybody knows about the speed of Indian Government Website portals like MCA Company Name Search Portal and Trademark Public Search Portal. So to eradicate this issue our Legal Team sat down with a team of highly skilled Tech Experts and built an Algorithm that links all these Quality Checks and gives you the availability of the finest Company Names for your business. Our Legal Team and Tech Team on a regular basis are working towards making our Free Company Name Search Bar the finest and the most efficient way to search for Company Names in India. We are constantly updating the MCA Master Data of Company’s in India, so that we give the best possible results to the valuable visitors on our website. Speed of the MCA Website Portal –As everybody knows Government Website portals are really slow and it’s a very time-consuming process, even for, just understanding the basic steps on how to first make a relevant New Company Name Search in India. MCA Portal is pretty Confusing – MCA Company Search Portal is highly Confusing for someone who is using it for the first time and hasn’t used it before that, basically once you enter the website, there are so many options and so much of content on the site with all the government News & Notification that are just of no use for a person in general who just wish to search his Company Name. Technical Legal Jargons – There are so many Technicalities and Legal Checks that have to be done before we a name has to finalized, there are various Sections under Company Law and Various other Laws that have to be in consensus with the chosen Name for Company to get through. Forbidden Words –There are a lot of words that are forbidden i.e. disallowed as per law and the same cannot be used by any person applying for the same, because If you do so the RUN Form Application or the SPICe Form would be rejected right away by the Concerned authorities. MCA ROC Search Format is Difficult to Understand – It’s not easy to understand how to make a proper in-depth research of a Company Name on MCA Portal’s Master Data. Basically, each element as stated above has to be broken into multiple fragments and then individually for each fragment of the Chosen Company Name, a Company Name Availability Check has to be done. Form Filling before a Complete Search – To do advanced searches on the MCA ROC Company Search Portal Online, a person has to fill up a detailed form and make a username and password and then once its done they can access to more advanced searches but those searches are even more complex than the Open Free Company Name Search in Company Master Data. Difficult to Login on Company Search portal – It is quite difficult to Login to the Company Search Portal, the Captchas on the Government websites keeps denying an access to people plus the ROC Company Search Login Portal is very slow and it keeps timing out once you login, so you have to login repeatedly to continue the work and do an advance Company Name Check in India. Trademark Check for chosen Company Name –Even if all the above stated issues are handled with care (it is always advisable that its handled by a Professional to know that its available or not) and a Unique Company Name Comes out to be available, then there has to be a Detailed Trademark Search in India that has to be done via IPIndia Portal. A Trademark Search is now one of the most crucial stages for a Company Name to get through and this can only be performed by an IP Law Experts i.e.  a Trademark Attorney who has a good amount experience to check Trademark Name Availability in India. A Trademark Search has to be conducted in 45 Different Classes i.e. every name has to be checked individually 45 Times in each Class with 4-5 types of availability Check in every class i.e. via Wordmark, Phonetic, Exact Match, Containing elements etc. So it’s really very time consuming and technical, this is where a highly skilled professional is required for the work. Domain Name Availability Check for the Desired Company Name – As per new norms by MCA i.e. Ministry of Corporate Affairs a Domain name check is also what is required before Applying for a Company Name as everybody knows that a website in the country is a bare minimum requirement for any business on the globe, so the Company name should not be an unavailable Domain Name and a RUN Form or a SPICe Form should be applied after doing a prior Check of the same too. No Rejection by the government – If a professional does an Online Company Name check, there are a lot of factors they count before applying for a Company Name right away, they break down each proposed name into multiple fragments and do a check for Company Name Availability in India of each fragment applying various permutations and combinations. Once the proposed name gets through the various quality checks, then all the possible phonetic variables of the name are checked via the same process of quality checking by the concerned professionals as mentioned above, also post that a proper Trademark Check has to be done. So basically this level of Quality Check help to avoid rejections of the proposed Company name by ROC in MCA. Choose a Company Name of your Choice – If all the Company Name Checks are done prior to applying for Incorporation or even for that matter prior filing of RUN Form for Company Name Approval, till then a person can do as many changes to the name and look for the name availability and once he/she finds a name of their choice is available, they can apply for the same and own that Company name Forever. No Multiple Government Fees – If a Proper Company Name has been thought off and the same pass all the prior checks stated above i.e. majorly passes the Company Name Check and Trademark Name Check then there is a minuscule chance that there would be any sort of extra Government Fees, on the Contrary for Incorporating the Company a person can straight off go on for filing the SPICe Form, not even RUN Form is required. So this way Company Formation in India becomes almost free of Cost i.e. negligible. Smooth Company Formation Process– Procedure for Company Registration in India becomes very smooth if the Application goes through all the possible proper check as mentioned all throughout the page i.e from MCA Company Search India, ROC Company Search Portal's Name Approval via RUN Form to Document Filing to finally MCA Company Formation. But to make it even more smoother and simpler it’s always advisable for the Applicant to hire a well versed CA, CS or Legal Experts that are good in conducting proper MCA Company Search Online and then go for the Incorporation of the same, because conducting ROC Company Name Search Availability Check is the most crucial stage of them all and it should always be handled with utmost care and diligence. Saves Time and Effort – A Proper Company Name Check via MCA Company Search portal and a Full Fledged Trademark Check above that, helps in making Company Formation process quick, fast and reliable, There is a very famous saying that a stitch in time saves 9, the same is applicable If a proper Check on Company Name Availability is done, it just saves time and effort to a tremendous level. Totally Free of Cost – Yes you read it right, here at Company Vakil we believe in making Legal Affordable, Simple and hassle-free for our Visitors and just for that reason we made our exclusive Online Company Name Search Platform freely accessible for anyone and everyone visiting our site, No Logins required, No Fees required just pure Information in the simplest possible form. We abide by the basic rule of providing all possible information available in public Domain by the Government, totally free of Cost by simplifying it to even greater a level and we’ll continue to do so. We further go ahead and promise and assure our visitors that we’ll never charge for the same, our ROC Company Search Online Platform is always going to be free of Cost. Uniquely designed Algorithm–We here at Company Vakil know that how much Brand Name and a Company Name values to an entrepreneur, this was the major reason our team of Legal Professionals and Tech Experts came together and devised a special algorithm which checks various factors at once and gives out the result of availability and non-availability, the best part is this algorithm is Self- Learning, uses Artificial Intelligence and keeps evolving every few minutes to give the best possible result to our visitors on the site. 1 Click Check for Trademark & Company Name Availability – Yes its true, it all happens in just 1 Click, Lakhs of Company and Trademark Names are analyzed in matter of seconds and the best possible result is shown to our website visitors, we know the value a Company Name holds for a person and we also know how important time is in today’s Startup Ecosystem, keeping that in mind we defined each parameter to be checked via our algorithm and the moment you make a search request via our Company Name Search bar all the parameters are analyzed in mere 1 Click and you are presented with the most suitable result about availability and non-availability of a Name. Free Live Chat Support with Company Vakil Experts –The biggest advantage of our Free Company Search Portal is that any person visiting our site can talk to our Experts any time of the day, we have a Free Live Chat Support integrated all throughout the website, you have any query feel free to reach us and we will do our best to answer it right away. Also we have such great faith in our Algorithm, because its super easy to understand for any person in general, that you won’t even need to consult us unless there is something very important related to technicalities of Law or a Legal Discussion that has to be made before finalizing everything and we are always available for you to consult us anytime about it, we are available 24/7 to answer your queries. Time Saving – There is not even a question about the fact that our Online trademark and Free Company Search Platform saves your time to do a full-fledged Name Search almost by 50 times, there are so many Legal Checks and stages involved before selection of a Brand Name or a Logo or a Company Name that our algorithm does for you in just 1 click and post that you can go ahead with the incorporation or consult our Experts via an Email or a Call once for clearing any doubts or queries left with you. In-Depth research of each Company – Our Specially designed Online Company Search Portal system does an In-depth research of each Company Name, breaking it down into various parts and Fragments and then individually analyzing each part and putting it together to do a comprehensive in depth research of each name. Our system even checks the details of the owners, date of Application of a certain thing etc factors, so that the final Result shown has a good level of accuracy. Ease of Use – Our Name Availability Check system is super Easy to use and understand as told above that everything happens just in 1 Click, so basically you have to type in your selected name in the Company Name Search Bar and just click the Search button and see the most refined result i.e. it would show if your Company Name is Available or Not-Available in a matter of seconds. No NOC Required from Trademark Holder –NOC is a No Objection Certificate that is required in case where the Selected Company Name is very similar to that of an already Registered Trademark in any Relevant Trademark Class. So basically that means if you apply for a certain Company Name and there is already a TM Registered over the same you need to contact the Concerned Owner of the mark and ask them for an NOC, now the question comes why would they give you an NOC for the same it is their Brand and you are the one who is trying to infringe their right, so its really difficult to get an NOC. 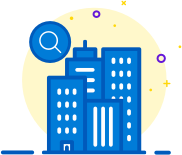 On the Contrary, if you do a full-fledged Prior Company Name search and follow all the important factors for the same manually or via our Company Name Search Tool-bar, this discrepancy for obtaining an NOC can be avoided. Transparency and No Technical Legal Jargons– Our biggest reason to develop Company Vakil Portal with free Company Search Online and Trademark Search Online was to make every aspect of Company Incorporation in India easy and simple to use and follow. We didn’t use any sort of technical Legal Jargons all throughout the website because that would complicate the Company Search Online Process, on the contrary, we worked towards building it to be very User-Friendly for the general public, everything on the website happens via a single click and it all works with a charm smoothly, swiftly and with full transparency i.e. every information is fully free to access and easy to analyze and understand.